Sarah Aronson began writing for kids and teens when someone in an exercise class dared her to try. Since then, she has earned an MFA in Writing for Children and Young Adults from Vermont College of Fine Arts, and published three novels: Head Case, Beyond Lucky, and Believe. Her most recent books are part of a new young middle grade series about the worst fairy godmother ever, The Wish List. She is the cofounder and organizer of the Writing Novels for Young People Retreat at VCFA and has served as an SCBWI mentor in both Illinois and Michigan. She lives in Evanston, Illinois. Robert Neubecker is the author and illustrator of Linus the Vegetarian T. Rex and of his own Wow! series. He is also the award-winning illustrator of Shiver Me Timbers by Douglas Florian, Sophie Peterman Tells the Truth by Sarah Weeks, I Got Two Dogs by John Lithgow, and Monsters on Machines by Deb Lund. A graduate of Parsons School of Design, Robert also illustrates for The New York Times and Slate magazine. After twenty years in Manhattan, he and his family live in Park City, Utah. Visit Robert at Neubecker.com. Aronson’s narrative hovers between thoughtful biography and an inspirational tribute to Goldberg’s work, which will leave readers wanting more information, especially about the cultural legacy of his ubiquitous cartoons. 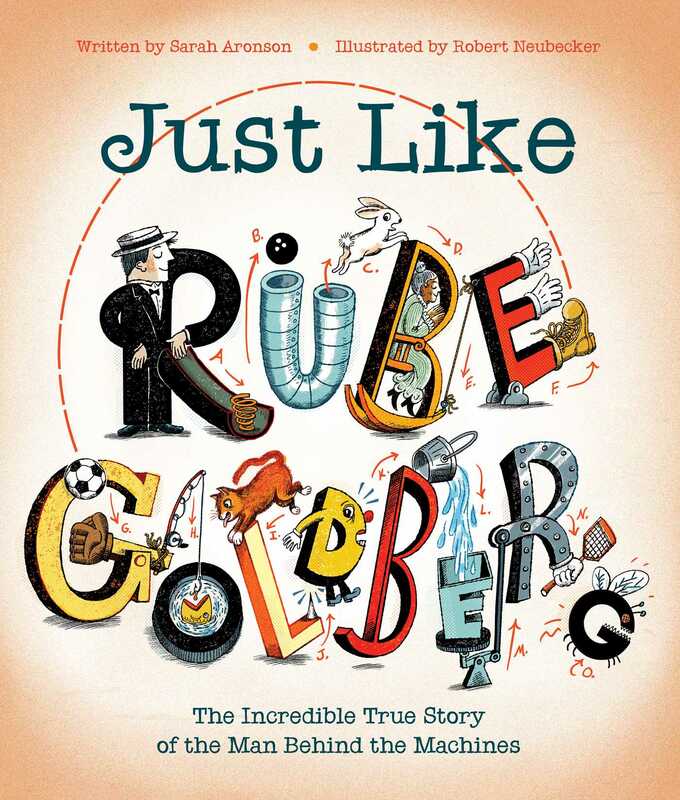 Neubecker’s illustrations are animated and precise, connecting the unpredictable threads of the cartoonist’s life to the spirit of his inventions....Playful illustrations drive this loving biography for elementary-school-age inventors and dreamers. Aronson has created an eminently readable book that will engage and surprise readers young and old....Particularly appropriate to use for Invention Conventions, STEAM units, or Odyssey of the Mind, this engaging read-aloud will make an enjoyable introduction to inquiry and problem solving in creative ways.